Are you a policyholder, provider or do you represent an agency office? 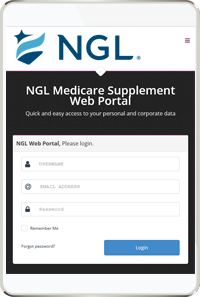 The NGL Web Portal is a simple platform providing you with instant access to all your data. NGL Web Portal, Please login. With portability in mind, the National Guardian Life Insurance Company (NGL) Web Portal was designed using the latest technology to ensure compatibility with all modern smart phones and tablet devices. All the information you need is just a tap away! 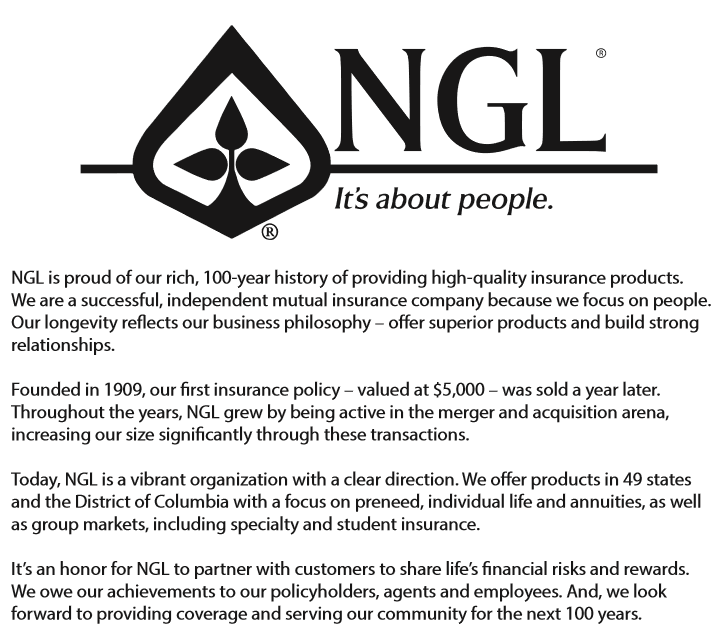 NGL is proud of our rich, 100-year history of providing high-quality insurance products. We are a successful, independent mutual insurance company because we focus on people. Our longevity reflects our business philosophy – offer superior products and build strong relationships. Today, NGL is a vibrant organization with a clear direction. We offer products in 49 states and the District of Columbia with a focus on preneed, individual life and annuities, as well as group markets, including specialty and student insurance. Please enter your Annuity policy number with corresponding owner information. If you do not have policy information, please contact us at 877-888-1511. Please enter your Medicare Supplement policy number with corresponding insured information. If you do not have policy information, please contact us at 877-888-1511. Please enter your Dental policy number with corresponding insured information. If you do not have policy information, please contact us at 877-888-1511. Please enter your Life policy number with corresponding insured information. If you do not have policy information, please contact us at 877-888-1511.